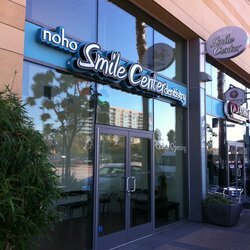 Welcome to NoHo Smile Center Dentistry. We specialize in creating, restoring, enhancing, and maintaining beautiful smiles daily! Our goal is to provide each of our patients with a relaxing, comfortable and personalized dental experience. Find out why we're considered by many to be the highest rated North Hollywood dentist. We perform high quality general, cosmetic, and restorative dental procedures including Cleaning and Whitening, Root Canals, Implant Surgery, Emergency Services, and Invisalign. Please view our Procedures section for a complete list of treatments we provide. Your comfort is our top priority! 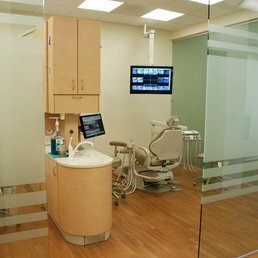 Dr. Penn Soh and his team of experienced dental professionals use the most soothing techniques and state-of-the-art dental technologies to provide you with custom-designed one-on-one dental care. We understand that your mouth and teeth are unique and are happy to answer all of your questions. Dr. Soh received his doctorate in dental surgery from Columbia University in New York City. He completed his post-graduate residency in General Family Practice at University of California at Los Angeles and at the Veteran’s Association Hospital Dental Division in North Hills, CA. Dr. Soh is an active member of the American Dental Association, California Dental Association, Los Angeles Dental Association, and the Academy of General Dentistry. He dedicates many hours to continuing education. He is committed to staying on the forefront of dentistry by bringing his patients the most up-to-date technologies. Dr. Soh is an attentive and skilled professional known for his gentle and high quality work. He is focused on preventative care and patient education. He is dedicated to helping people through their dental fears. Best of all, Dr. Soh takes the time to get to know each and every patient on a one-on-one basis and to develop a long lasting relationship. Dr. Soh grew up in Los Angeles, CA and enjoys an active life with friends and family. During his free time, he enjoys traveling, playing tennis, and swimming. We provide same day appointments or walk-in service for patients with dental emergencies. Typical dental traumas include: extreme toothache or tooth pain, broken teeth, knocked-out teeth, loose/partially dislodged teeth from trauma, loose or lost crowns and fillings. Trauma to the teeth and gums can cause infection or abscess which must be treated immediately. Delays in treatment can cause permanent damage to your oral health and can be very dangerous to your overall health. A veneer is a thin layer of porcelin that is placed over a tooth surface much like a shell or casing. It is used to lengthen teeth, to make teeth more uniform, to correct discoloration, to close irregular spaces between teeth, and to restore chipped teeth. Veneers are also often used to protect worn enamel and damaged tooth surfaces. h and a laser will then harden the cement, bonding the veneer to the surface. Finally, the dentist will remove any excess cement and make final adjustments to the veneers as necessary. Veneers require 3 dental visits. Your smile is the first thing people notice and we all know that you only get one chance to make a good first impression. Having that million dollar smile you see on TV isn’t easy to achieve but we can help you get there using our latest technology. Studies show that whiter smiles create more social and professional opportunities for people and if couple visits to our dental office is all it takes, then why would you make that appointment? Not all whitening procedures are created equal and some procedures do more harm than good. Let Dr. Soh find the right solution for you. Call us today and find out what it takes to have that million dollar smile you have been dreaming of. Invisalign is a series of removable clear trays that gradually straighten crooked teeth. They are often used to fix overly crowded teeth, widely spaced teeth, bite irregularities such as crossbite or overbite, and relapses to post traditional braces. Invisalign fit over the teeth just like a retainer would, but because they are clear, no one will know you are wearing them. Also, because there are no metal brackets, food and plaque do not get stuck in them and the risk of tooth decay and tooth damage is reduced compared to metal braces. Invisalign is a more comfortable and cosmetically pleasing alternative to traditional braces. Invisalign may not be appropriate for certain misalignments or complex bites. Procedure: Once the dentist determines that Invisalign is appropriate for you, an impression of your teeth are made. The impressions are sent to a laboratory where a computer helps determine the gradual shifts needed to straighten your teeth. Next, a set of clear aligners is customized for your teeth according to the computer images. The aligners are switched out about every 2 weeks with new aligners set at a different stage of treatment. Invisalign must be worn for at least 20 hours each day. Most adults complete treatment in less than 1 year, but treatment times may vary depending on the individual alignment problem. Whether from malnutrition, genetic disorders or disease, sometimes it’s necessary for us to extract all of your teeth. This can be devastating but dentures can give you a second chance at a beautiful and natural looking smile. Dentures help with chewing as well as provide support for one’s facial structure. With immediate dentures, you can have a full set of teeth while waiting for your gums to properly heal and your bones to realign after having your teeth removed. This process can take up to six months, so immediate dentures are a great alternative during this time. Complete dentures are sometimes not necessary. Partial dentures can replace a row of missing teeth, and are secured to your other teeth using clasps. No matter which kind of dentures you choose, at NoHo Smile Center you can be assured to receive the most natural looking and comfortable dentures. A root canal is a procedure that saves or restores badly decayed or infected teeth. Some signs that a root canal may be needed include: severe toothache upon chewing or application of pressure, sensitivity to heat or cold, darkening of the tooth or gums, and swelling of nearby gums. If the teeth are left untreated, bacteria may grow, causing an infection or an abscess. Procedure: An X-ray is taken of the tooth to see the shape of the root canal and to determine if an infection is present. A hole is then drilled in the tooth to allow the dentist to remove the nerve pulp, bacteria, decayed tissue and other debris. Once the tooth is thoroughly cleaned, the interior is filled and the hole is sealed. If an infection is present, the dentist may put antibiotics inside the tooth to clear it up. Finally, a crown or filling may be placed on the tooth to protect it from damage and to restore its full function and appearance. Root canals may require several office visits. A filling is used to repair teeth that are chipped, fractured, or decayed. They can also be used to reshape and rebuild teeth that have been worn down. A white filling is a natural tooth colored filling made of acrylic and glass particles, so unlike a silver or gold filling, there is no toxic metal waste or risk of mercury allergy. A white filling can be matched to the color of your teeth so that they are undetectable and look as natural as possible. Procedure: The decayed portions of the tooth are cleaned and removed, leaving a hole in the tooth. The cavity will be filled with the composite material and the dentist will use a special bonding light to harden the filling. Finally, the dentist will sculpt and smooth out the material giving your teeth a natural appearance. White fillings require 1 office visit. Our North Hollywood dental office can replace your old silver fillings or fill your new cavities at about the same price as metal fillings at other places. Come in and see for yourself what big difference white fillings can make on your smile. A dental implant is a small metal screw that functions as an artificial tooth root to support a false tooth or set of teeth. Dental implants are a permanent and natural looking solution to treating missing teeth that may have been lost to cavities, disease, or trauma. Procedure: The implant is surgically placed into the jaw where it will fuse with the bone. This fusion, or “healing time”, will take approximately 4 months. A post, which serves as the support for the false tooth or teeth, is then attached to the implant. Finally, the dentist will take impressions to make the prosthesis which will ultimately be attached to the implant. This process will require several dental visits. Our dental office is open Saturdays! Our brand new office is conveniently located in North Hollywood and is just minutes from downtown Los Angeles, Toluca Lake and Studio City. 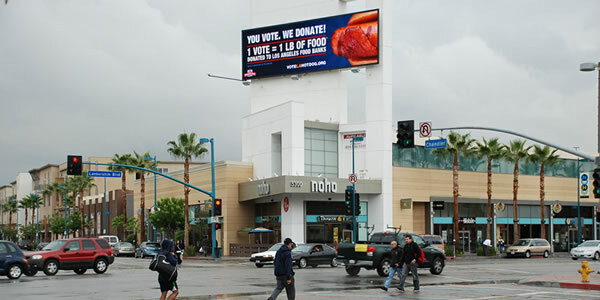 It is also walking distance from the North Hollywood Metro Station making it easily accessible by Red Line and Orange Line. Call us today for more information or to schedule an appointment! We make our services affordable and offer payment plans. Read real reviews from our patients. See why we are the highest rated dental office in North Hollywood! I recently had my first root canal, and as much as I was really scared, Dr. Soh eased my nerves. I was more nervous getting an injection. George made sure to put a numbing gel on my gums first. Dr. Soh is so thorough and gentle. Anytime you make a sound he always checks to see if you are comfortable. Dr. Soh is very gentle and thorough. He is great at what he does bc when he numbed me,…or did he?? I didn’t feel anything!! & I came back for a follow-up due to sensitivity on my tooth…most Dr’s would have made some adjustments and “Byeee” but Dr. Soh redid the crown to fix it in whole. He really cared! The office is high-tech and very clean. The service was friendly and efficient. The dentist was very gentle, did a good job cleaning, and made recommendations on additional work that I should consider down the line and how much that would cost. They take Delta Dental insurance and are open on Saturdays. A friend recommended me to this dentist and now I am recommending them to everyone else. I was really impressed with the fact that they seemed to care about me more than their own pocket books. I have been to a couple of dentists in the past where I felt like all I was getting was commercial… after commercial for orthodontics or for a mouth guard or for any number of things they could use scare tactics for me to buy that I did not necessarily need. Contact our North Hollywood dental office. We will get back to you shortly.